La Fondation France-Japon organise des conférences et des symposiums invitant des experts japonais et étrangers afin de promouvoir le débat académique en proposant des résultats des programmes de recherche et suscitant des opinions publiques sous divers points de vue. This workshop is organized by FFJ in the framework of the 2018 CEAFJP/Air Liquide Fellowship. Agribusiness giant Monsanto was ordered to pay a colossal sum to a plaintiff who accused its herbicide of having provoked his cancer. This sentence might be an announce of the beginning of the end of the agribusiness. Agribusiness is a branch of industry that has expanded during the 20th century. Since 1990’s it succeeded in inventing genetically modified crops to get huge revenues. France and European Union, on the contrary, recommend a different mode of agriculture, imposing restrictions on these crops. Its basic concept consists in “multi-functionality”, meaning that agriculture is not purely economic, but economic, social, and environmental activities. With the aid of the Government, organic agriculture is developing in France whose ratio is 1.9% in 2007 and 6.3% in 2017 (its ratio in Japan is 0.1% in 2007 and 0.2% 2017). We can find also some practices like farmers’ markets and AMAP, which, generally linked with organic farming, esteem direct relationship between farmers and consumers. These practices can be qualified as “food democratic”, for they have some features common to grass-roots democracy: disclosure of information concerning food production, connection of trust between food producers and consumers, and self-determination of the two. This workshop is organized by FFJ in the framework of the 2018 CEAFJP/Michelin Fellowship. The aim of the workshop is to analyse the role of star scientist in science intensive industry such as bio/pharmaceutical and IoT/ICT industry, based on empirical studies in Japan and the European economies. Questions that are to be addressed include: How Science, Technology, and Innovation policy supports innovation ecosystem to overcome “the valley of death” in the process of product innovation, and what are the differences between Europe and Japan? What is the role of star scientist for R&D process? How star scientist recognizes prior knowledge for novel scientific discoveries? To what extent do the interplay of science and technology affect the R&D process? And what is the role of university-industry interactions? Speakers: Tatsuro Sasaki (GRIPS), Kanetaka Maki (Waseda Business School), Yasushi Hara (CEAFJP/Michelin Fellow; GRIPS, Waseda, Hitotsubashi University), Philippe Gorry (University of Bordeaux), Clément Sternberger (INPI/Paris Sud University). Workshop co-organized by the Fondation France-Japon de L’EHESS in Paris, The Japanese-German Center Berlin (JDZB) and the German Institute for Japanese Studies (DIJ) in Tokyo. The social and political costs of labour market inequalities are now widely acknowledged especially in countries with dual labour market structures like France, Germany and Japan. The workshop aims to shed light on this mixed picture of continuity and change by bringing together scholarship on France, Germany and Japan from all disciplines of the social sciences. The countries share many structural problems (e.g. dual labour market structure, limited mobility between standard and non-standard jobs) but differ with regard to their regulatory approaches and political and economic institutions. The comparison therefore allows exploring the changing politics of structural reform in economically advanced democracies as well as to readdress key questions in comparative political economy research, e.g. to what extent governments, employers and trade unions are willing and able to influence processes of liberalisation and mitigate resulting labour market dualisation. Conférence : Quelle est la pertinence du concept de triangle des géants Chine-Inde-Afrique dans notre compréhension des mutations de l'économie et de la géopolitique mondiale? Cette conférence est organisée dans le cadre des deux séminaires de l'EHESS, "Nouvelles territorialités entre l’Asie et l’Afrique" et "Présences chinoises en Afrique". Agrégé de sciences économiques et sociales et docteur en économie, Jean-Joseph Boillot est spécialiste de la question des grands pays émergents et cofondateur de l'Euro-India Economic & Business Group (EIEBG). 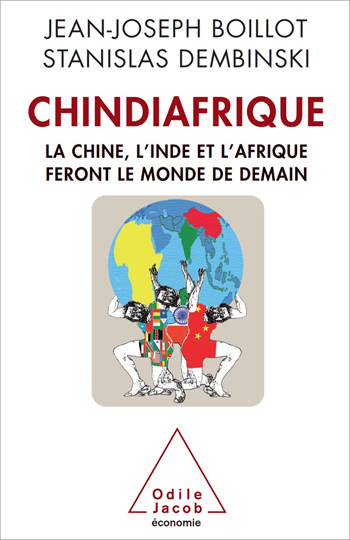 Il est auteur de nombreux ouvrages dont notamment Chindiafrique, la Chine, l'Inde et l'Afrique feront le monde de demain, aux éditions Odile Jacob 2014. This workshop is organized by FFJ in the framework of the 2018 CEAFJP/Valeo Fellowship. The aim of the workshop is to analyse the role and means of the Local Governments for development and implementation of innovative mobility means (IMM). One can realize sustainable transport by IMM like a ridesharing service, autonomous mini-bus and so on. There are many good practices of IMM by Local Governments in Europe and Japan. In this workshop, the panellist include not only academic researcher but also person of Local Governments and Innovators Company. Questions that are to be addressed include: What are Roles of Local Governments? How does Local Governments implement policies? What is optimal relation between Local Governments and Innovators? Also, including “Role of researchers for Local Sustainable Transport”, we discuss about deferent of role of researchers between France and Japan. Building on the success of the first France-Japan Area Studies Forum held in Kyoto on 1–3 December 2017, the 2nd joint conference will be held in Paris on 3–4 December 2018. Kyoto University and EHESS signed a Memorandum of Understanding for Academic Cooperation and Exchange in May 2015. Since then, there has been an active exchange of individual scholars between the two institutions. The France-Japan Area Studies Forum was the first opportunity to interact with each other on an institutional level. With common perspective on strengthening partnership, the Forum was held under the two themes: “New Spatiality on Asian and African Area Studies” and “Voices for The Future: African Area Studies in a Globalizing World.” The Forum aimed to re-conceptualize ideas about “spatiality” or “area,” in order to better understand the globalizing forces that shape contemporary issues in Africa. Knowledge and insights relating to a wide range of global issues were shared at this conference attended by over 100 participants. For the 2nd joint conference, the following two themes have been selected as priority issues for both universities. The discussions that will ensue as a result of this forum will not only provide opportunities to enhance academic partnership between Kyoto University and EHESS, but also encourage researchers to explore new ways to advance African studies globally. This workshop is organized in the framework of the 2018 CEAFJP/Banque de France Fellowship. The year 2018 marks the ten-year anniversary of the global financial crisis. While a large literature in comparative political economy has examined causal factors behind the crisis, newer scholarship has moved to studying the crisis’s aftermath and other more recent phenomena, including the status of the post-crisis finance sector, the reemergence of monopolies in national markets, states’ adjustment to demographic change, the role of legal actors in stopping predatory lending, and the problem of unprofitable “zombie” firms which defy creative destruction. This workshop convenes junior scholars in comparative political economy to present and discuss research on these and other fresh topics as they pertain to Japan and Europe. The workshop features a keynote presentation by Dr. Eric Monnet (Banque de France) on the political economy of French banks in historical perspective. Shogo Takegawa (Université de Tokyo) est invité à l'EHESS dans le cadre du programme de professeurs invités de l'EHESS. Il donnera quatre conférences entre octobre et novembre 2018. Lecture organized by the Fondation France-Japon de l’EHESS. In the framework of the “Seminar on Contemporary Japan” (Inalco-Paris 7) organized by Arnaud Grivaud (Inalco) et Kanae Sarugasawa (Paris 7). The session will also include a lecture by Robert Boyer (EHESS, Institut des Amériques). In the framework of the EHESS seminar organized by Yohann Aucante « Les réformes de la protection sociale : perspectives internationales comparées ». Workshop inaugural du projet financé par PSL, IRIS Études Globales : "Global Islamic Market: Asian Perspectives on Diversity of Capitalism". JECO : Y-a-t-il un modèle de développement asiatique? A l'occasion des Journées de l'économie (JECO), organisées par la Fondation pour l'Université de Lyon, un panel sur les capitalismes asiatiques sera présenté. The conference aims to solidify an infrastructure of engagement bringing together scholars, artists, intellectuals and educators based in Africa and Asia as well as across the world to think both comparatively and holistically about the challenges and possibilities of cross-continental and trans-regional encounters. FFJ will present the panel “50 years after May 1968: Perspectives from Asia and Africa”. This panel will dwell on three main themes: the connections between Europe, Africa and Asia from the students and intellectuals perspectives; the specific local social, political, and economic contexts of social movements; the evolution of social or political movements since the 1960s with respect to today’s neoliberal context. Intervenants : Alem Abbay (Frostburg State University), Kae Amo (EHESS), Lalita H. Hanwong (Kasetsart University), Makoto Katsumata (Meiji Gakuin University), Michèle Leclerc-Olive (CNRS). Conférence annuelle du Projet INCAS (Understanding Institutional Change in Asia: A Comparative Perspective with Europe) financé par la commission européenne. Second forum de l'AEPD, co-organisé par le GRIPS, le CSIS et la FFJ avec le soutien de la Japan Foundation. Workshop organisé dans le cadre des chaires CEAFJP et coordonné par Soichiro Minami (Chaire CEAFJP/Valeo 2018). La mobilité subit partout dans le monde des transformations rapides. La recherche en sciences sociales sur la mobilité (économie des transports, gestion des technologies, etc.) doit également changer ses paradigmes. Ce workshop se concentrera sur deux points de l’évolution de la mobilité : la mobilité dans les pays en développement et les services de mobilités. Workshop co-organisé avec l'université de Doshisha dans le cadre du projet de recherche "Inequalities and Preference for Redistribution" avec le soutien de la Toyota Foundation. Inequalities have increased over the last thirty years. However, this increase has not been the same in every country. Moreover, the perception of these inequalities differs across countries in a paradoxical way: the concern for inequalities increase is the most important in Europe, where it has been actually slighter. Differences between actual inequalities and their perception could be explained by a difference of values in the three regions of study, USA, Europe and Japan. Does the perception of inequalities matter more than the objective determinants of inequalities as it leads to different forms of redistribution? The 2018 annual SASE conference in Kyoto will serve as an occasion for existing SASE networks, as well as new groupings in the form of mini-conferences, to explore the ways in which the processes of reordering occurring across the globe are impacting traditional research areas and paradigms of analysis. How are new developments redrawing the practice and governance terrain within firms and corporations, in management practices, in the welfare state, the law, in industrial relations, across supply chains and in regulation? Are processes of innovation and technological change substantively affected by (or even driving) the current process of global reordering? SASE as a community has long embraced values furthering equality, justice and democracy across a broad array of research terrains. How do reordering processes impact those commitments? The Association’s first meeting in Asia, itself an expression of the changing composition of the global academic conversation, seems like a very fitting occasion for reflection on these powerful dynamics of change and recomposition. A l'occasion de la tenue de la conférence annuelle de la SASE au Japon, la FFJ soutiendra et co-organisera plusieurs panels. Conférence inaugurale "Regards croisés sur la création artistique au Japon" à l'occasion de l'inauguration de l'année Japonismes 2018 et de l'ouverture de l'exposition "Fukami. Une plongée dans l'esthétique japonaise"
Faisant écho à l'exposition « Fukami – une plongée dans l’esthétique japonaise » (Hôtel Salomon de Rothschild, du 14 juillet au 18 août 2018) et permettant d’en comprendre les grands principes, la conférence inaugurale "Regards croisés sur l'esthétique japonaise" réunit des grandes figures des intellectuels français spécialistes des arts, des esthétiques et des mondes contemporains. Chacun partage à sa manière ses réflexions, ses expériences, et la façon dont le Japon a inspiré ses travaux. Une spécificité de cette conférence est que tout en se focalisant sur l’esthétique japonaise, elle le mettra en perspective avec l’esthétique française. D’une part, elle nous permettra d’intéresser le public français à l’exposition. D’autre part, et surtout, la France et le Japon ont connu durant les vingt dernières années des changements sociétaux, technologiques et environnementaux tout à fait comparables. Cependant, les contextes de création et les questionnements dans ces deux pays sont différents. L’objectif de cette conférence est de tirer des leçons de ces deux expériences et de donner la possibilité au public français de dialoguer avec les œuvres d’art japonais qui inspirent la réflexion. This paper examines the challenges posed by megaregions from the perspective of an analysis of the Tokaido Megalopolis, the first case of this urban scale in Asia. Debates about large-scale urbanization have seen a recent resurgence, with divergent interpretations of their significance and implications. This paper contributes to these debates from the perspective of the case of Japan, which is surprisingly absent from recent discussions which have focused primarily on the U.S., Europe, and China. When first identified as a ‘megalopolis’ in the 1960s the Japanese Tokaido region from Tokyo to Osaka was already larger and denser in population than the north-east seabord of the US, and was growing much faster. The Japanese case is particularly valuable for current debates as Tokaido’s peak growth was half a century ago during a very different period, and is a region that has already finished its urbanization phase and is now shrinking in population so the compete process of megalopolitan growth can be studied. La lutte continue!... t-elle ? Conférence organisée par le Labex Tepsis en collaboration avec la FFJ dans le cadre du cycle de conférences « Les agendas de Politika ». Cette conférence examine l’héritage de mai 68 et revient sur 50 ans d’expériences de lutte sociale en Europe et en Afrique pour repenser les « crises » qui secouent le monde aujourd’hui. Que sont devenus les militants de mai 68 ? Comment la contestation s’exprime t-elle dans le milieu artistique depuis mai 68 ? Quelle influence le ‘moment mai 68’ a-t-il eu sur les formes de la contestation dans le monde ? Quelle place nos démocraties reservent-elles à la lutte sociale aujourd’hui ? Le débat est ouvert. La deuxième séance du séminaire " Comprendre les relations Afrique-Asie " aura lieu dans le cadre du séminaire de master de Pasale Rabault (ENS) sur l'histoire transnationale de l'orientalisme. Ito Peng (Université de Toronto) interviendra dans le cadre du séminaire EHESS de Sébastien Lechevalier, " Comprendre le changement institutionnel en Asie." Séminaire CRAA-ETRE : Comment l'Afrique s'approprie t-elle l'Asie dans le domaine religieux ? Première séance 2018 du séminaire PSL, « Comprendre les relations Afrique-Asie ». L’accident qui a eu lieu dans la centrale nucléaire de Fukushima Daiichi le 11 mars 2011 a radicalement changé la vie des Japonais. 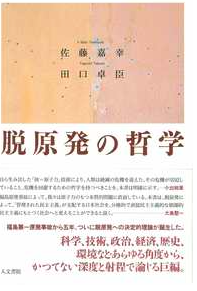 Selon Yoshiyuki Sato et Takumi Taguchi, deux jeunes philosophes japonais, c’est la « normalisation de l’état d’exception » dans le sens de Walter Benjamin, qui est observée depuis la catastrophe de Fukushima en laissant les japonais exposés à la menace constante de la radioactivité. Face à cette situation, les deux philosophes, influencés par la pensée française, des Lumières à Foucault et Derrida, se sont appliqués à analyser la société japonaise par le biais de la philosophie politique dans leur ouvrage commun, « Philosophie de la sortie du nucléaire » (Datsugenpatsu no tetsugaku,『脱原発の哲学』, Tokyo, 2016). Table ronde organisée dans le cadre du programme Afrique-Asie de la Fondation France-Japon de l’EHESS. L’économie paysanne africaine est reconnue pour son caractère unique, définie par des réseaux de relations socio-économiques de réciprocité, appelée aussi l’« économie de l’affection » (Goran Hyden). Cette table ronde invite les chercheurs spécialistes de différentes régions en Afrique et différentes thématiques de cette économie « d’en bas » afin d’échanger sur l’actualité de leurs recherches. Différentes thématiques seront abordées, entre autre : le contraste ou la connexion entre les milieux urbains et ruraux ; la mobilité (interne / sous-régionale ou transnationale) ; l’importance du rôle des femmes ; la religiosité ou les fêtes (familiales, religieuses...). C’est-à-dire, les moments « forts » des échanges économiques. Durant la période de l’après-guerre, le Japon a développé un type particulier de capitalisme reposant sur deux piliers : l’État développementaliste, investissant massivement dans les travaux publiques pour soutenir la croissance, et la société d’entreprise, assurant un certain compromis entre patronat et syndicats. Contrairement à l’Angleterre où l’État providence s’est construit sous un gouvernement de gauche, c’est sous l’hégémonie de la droite que l’intégration des classes populaires s’est effectuée au Japon. Ce modèle glorifié autrefois comme étant la clef du succès économique de l’après-guerre entre pourtant en crise à partir des années 1990 avec l’émergence du néolibéralisme. Quelle était la particularité de ce modèle ? Pourquoi a-t-il soudainement été décrié de toute part ? Le modèle japonais est-il en train de converger vers le modèle anglo-saxon ? Il s’agira ainsi de retracer les métamorphoses du capitalisme japonais à partir des années 1990 sous l’effet de la mondialisation. Conférence organisée dans le cadre du programme de professeurs invités de l'EHESS (invitation : Éloi Fiquet). 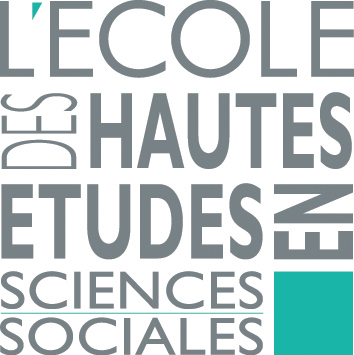 En tant que chercheurs en sciences sociales nous sommes confrontés aujourd'hui à la diversité culturelle et religieuse au sein de la société, ainsi que la pluralité de modes de communication. Les conflits se manifestent souvent sous forme dediscours violents ou racistes dans les médias et sur les réseaux sociaux. Les chercheurs sont aussi sollicités pour y prendre la parole. Au Japon, on assiste aujourd'hui à une émergence des discours racistes contre les migrants, phénomène récent, mais qui attire beaucoup l'attention. Basé sur son analyse anthropologique, Kamei Nobutaka pointe l’absurdité de certains discours "isolationnistes" Quelle sont les positions et le rôle des chercheurs en sciences sociales aujourd'hui? Quel est l'impact de leurs paroles à travers les médias et les réseaux sociaux? Coorganisée en collaboration avec l'Université de Nagoya. La pratique de la juxtaposition des images du corps représente et symbolise la notion du temps et de l’histoire. Depuis « la vision successive » du Laocoon découvert par Goethe à la chronophotographie d’Etienne Jules-Marey, la juxtaposition des images montre au regardeur l’enchaînement des mouvements, de l’évènement ou de l’histoire, qui occupe dans le temps des moments voisins mais distincts. Cette pratique affirme ainsi une génétique créatrice des formes : si Picasso démontre le processus de l’abstraction du Taureau dans ses eaux-fortes en 1945, Matisse expose, la même année à la Galerie Maeght, les reproductions photographiques des différentes étapes de son œuvre avant qu’elle ne soit achevée afin d’exposer les variations de l’image nées pendant l’exécution. L’objectif du colloque est de considérer les phénomènes de répétition, de variation et de comparaison des images du corps dans la culture visuelle à l’époque moderne et contemporaine, en se focalisant sur les problématiques que suscite la pratique de la juxtaposition des images du corps. Intervenants : Claire Barbillon (Université de Poitiers), Janig Bégoc (Université de Strasbourg), Monika Keska (Université de Grenade), Pascale Cugy (Université Paris-Sorbonne, Deutsches Forum fur Kungstgeschichte), Emmanuel Désveaux (EHESS), Pierre Gautier (Université Lumière - Lyon 2), Françoise Král (Université Paris Nanterre), Déborah Lévy (Université Paris 8), Hiromi Matsui (Université de Nagoya), Kendra Walker (EHESS). Workshop organisé par le CEAFJP et soutenu par Renault dans le cadre de la Chaire Renault/CEAFJP 2017. In the environmental context of global change, there is a need to create and develop sustainable cities and towns. From this circumstance, private sectors have developed various technologies and services such as mobility field, and these technologies are now moving from an experimental phase to an operational phase. At the same time, at a regional level, local societies are facing various regional challenges to improve the quality of citizens’life. Considering these dynamics, this workshop focuses on the relationship between new technologies services and social needs from the perspective of regional urban policy and planning. The aim of this workshop is to study efforts in France and Japan by private and public sectors for realizing sustainable towns and consider how the new technologies and services interact with real society from the perspective of regional urban policy and planning. Organisé par l’université de Hitotsubashi en collaboration avec l’EHESS et la FFJ, ce workshop international cherche à stimuler les discussions autour de sujets tels que les origines et les aspects politiques, militaires et sociaux de la Seconde Guerre mondiale dans la région Asie-Pacifique. Les intervenants examineront la représentation de la guerre dans les médias et étudieront l’héritage du conflit. Intervenants : Satoshi Nakano (Hitotsubashi University), Ann-Sophie Schoepfel (Sciences Po Paris), Henning Fauser (Institut d’études politiques de Rennes), Andrew Levidis (University of Cambridge). Workshop organisé par le CEAFJP et soutenu par PSL dans le cadre de la Chaire CEAFJP/Air Liquide 2017. This international workshop, to be held at the EHESS, France, draws inspiration from the European designation of 2018 as the Year of Cultural Heritage and the recognition of intangible cultural heritage. Food, at once material culture and an expression of those lived traditions known as intangible cultural heritage, has served as a topic for much scholarship on larger themes such as heritage, cultural politics, and the role of the state. This theme connects to issues of food sovereignty and the right to food, as well as developments in global health, from the renewed attention traditional diets have received in the face of diseases and health problems like diabetes and obesity to the recognition that societies can suffer from a “double burden” of overnutrition and undernutrition. This workshop will also engage recent methodological and theoretical approaches such as multi-species ethnography and the Anthropocene, which have drawn our attention to the fraught interdependence of plant, human and non-human animal, and microbial lives and the food that sustains them. Workshop co-organisé par l'université de Keio et la FFJ. Trade liberalization and sagging local economies are becoming one of the central policy issues in developed countries. While recent academic studies recognize that both of them are the key factors in determining the productivity of firms, the interaction between them has not been fully examined yet. The objective of this workshop is to facilitate the discussion on these issues and to foster the interaction between researchers from France and Japan from the area of international trade, economic geography, and industrial organization. Intervenants : Sébastien Lechevalier (EHESS), Toshiyuki Matsuura (Université de Keio), Kozo Kiyota (Université de Keio), Kentaro Nakajima (Hitotsubashi University), Miren Lafourcade (Université Paris Sud, PSE), Yasuhiro Takarada (Nanzan University), Timothy Destefano (OCDE), Yasusada Murata (Nihon University), Flora Bellone (Université de Nice-Sophia-Antipolis). Dans le cadre du séminaire de l’EHESS de Sébastien Lechevalier, « Comprendre le changement institutionnel en Asie. Une perspective comparée avec les États-Unis et l’Europe ». 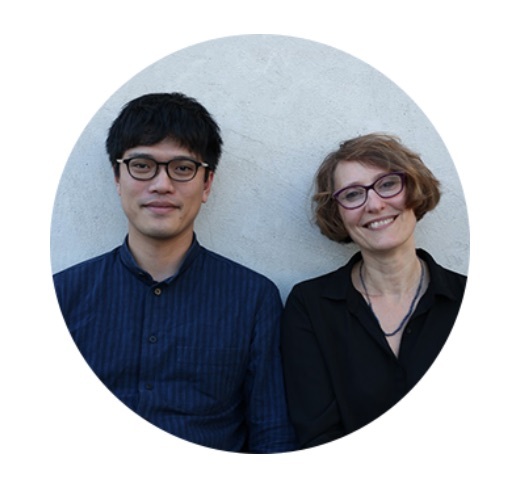 14 février 2018 (17h - 19h) - Salle A03_35 (54 bd Raspail 75006 Paris) Intervenants : Toru Yoshida (Université de Hokkaido) et Michel Wieviorka (EHESS, FMSH). La participation politique chez les jeunes au Japon, transformation ou retrait ? A l'occasion de la 10e édition du Yebisu International Festival for Art & Alternative Visions dont le thème est "Mapping the Invisible", Natacha Nisic et Ken Daimaru présenteront leur oeuvre commune Osoresan. Cette oeuvre est le fruit la collaboration entre milieu artistique et milieu de la recherche. Itako, women who became spiritual mediums because they developped visual disabilities, have learned language and rites to communicante with the souls entirely through oral communication. Osoresan (2018) is a new installation created after a three-year period of research and filming in a collaborative project by a French artist and a Japanese researcher in contemporary history, both of whom live in Paris. Revolving around the narration of Take-san, the last blind Itako, the work traces a path through three time periods of her life: 1945 (postwar), 1968 (the period of rapid economic growth), and 2018 (post-Fukushima). Séminaire organisé par la SOAS (Japan Research Centre et Department of Economics and Japan Economy Network). This paper analyses the revival of industrial policies from the late 2000 s in Japan and Korea and their limitations. The paper first adopts the perspective of historical institutionalism to focus on the relation between IPs and financial systems and study their evolution over the last 40 years. Second the paper mobilizes the concepts of institutional complementarities and hierarchy, and discusses the limits of this revival in a context of liberalized financial systems, to which government entities in charge of industrial policies have contributed. A major finding is that, in the context of financialization, past complementarities of the developmental state have weakened and contradictions have arisen. It has resulted in a restructuration of state capabilities to design and implement industrial policies, and to its inability to subordinate finance to its goals, despite the discourses and ambitions of governments. However, comparison between Japan and Korea also allows the identification of some significant differences in the initial institutional arrangements and in the process of institutional change, pertaining to sources of greater state capabilities in Korea than in Japan in the current period. This paper is one of the outcomes of INCAS, a Marie Skłodowska-Curie Actions R.I.S.E funded project under the European Commission’s H2020 Programme. Workshop organisé par le CEAFJP dans le cadre de la Chaire Valeo/CEAFJP 2017. Life innovation is a growth-driving industry that supports the medical, nursing and health-related industries in the developed economy. Using life innovation to develop new service and manufacturing industries should enable the construction of a sustainable social security system tailored to its future super-aged society. A new market of approximately 50 trillion yen and the creation of 2.84 million new jobs is expected in these medical, nursing and health-related services in 2020. Among the technological developments of life innovation, the research, development and commercialization of nursing care robots, personal mobility for the elderly, and life support robots utilizing manufacturing technology as well as advanced medical technology and information and communication technology (ICT) are expected. This workshop is an attempt to gather leading international experts on the theme and to provide new views of sustainable human future through the collaboration between Japanese and European researchers.